The SimDeck PET250 and smaller PET110 Race Car Simulators are enthusiastically received by every age group at the Speed Show in Auckland. A steady stream of drivers impressed and entertained a constant audience of some very skilled and not so skilled drivers race in the USA Orchard Circuit. The simulator system built by SimDeck delivers a very unique and life like experience, of which many drivers said it was very realistic delivering all the vibrations and and concentration of the real world experience. Five days before a hectic race weekend…and counting down!!! 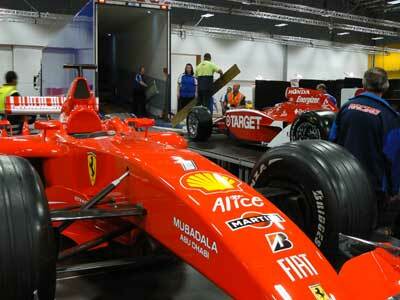 Well the time to head back on the track is fast approaching with the Speedshow here in Auckland. 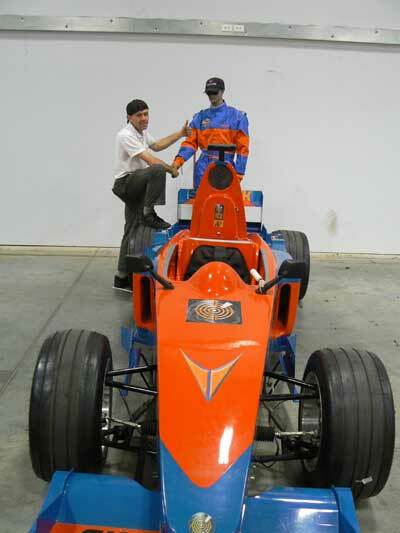 SimDeck will recreate what will now go down in history as one of NZ’s most famous motorsports achievements when Scott Dixon won the May 2008 Indy 500. With Scott’s winning car on display and a scheduled appearance it only seemed fitting that we give visitors to the show a 0.01% taste on what that incredible achievement is and for Scott’s name to go into the realm of legends. We have made some minor upgrades to the PET250 race car in the sensory department, and have further immediate plans after the Speedshow for an additional indepth integration in some areas that will further immerse drivers, audience and race management into the virtual world. So come race weekend we expect to see many egos bruised and reputations enhanced. We will try and have the photos and videos uploaded as soon as we can after next weekend. 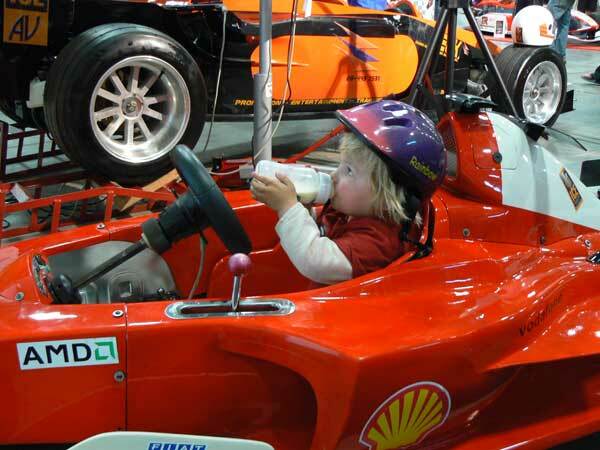 You may well ask is race simulation just for kids games and boys who have never grownup, or simply those who did not have the connections, dollars or opportunities to actually race cars in the real world. In a break between work, young Josh could not resist jumping in the tub for a few laps at Blackwood. Most associate race simulation with gaming. In itself it would not be in-accurate to call it gaming, however the SimDeck experience and others, take this to a whole new dimension. Compare it to a $100 Microsoft Flight sim programme which is actually used to teach pilots how to fly, www.flightexperience.com, however as with a Boeing or F16 fighter pilot who train in a simulator, many race car drivers consider training in a race car simulator crucial to their skill development for winning in the real world. 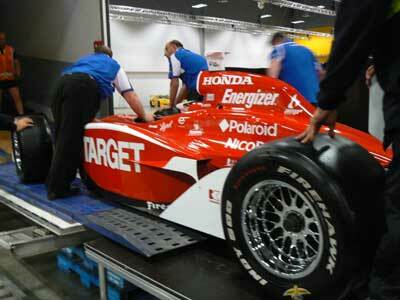 MacLaren race team have a simulator that have cost in the hundreds of $1,000 ..upwards of $2mil I recall. As for the Simdeck simulators these sell for well over what most people could afford for the family car. So yes there are similarities with the gaming industry and many aspects do intersect with the race simulation industry which is a whole new breed that we are implementing for entertainment, training, team building and the like. As an example from our friends over at www.iracing.com BEDFORD, MA (29 May 2008) — What a difference a month (and some simulation time) makes — Ryan Dalziel and Henri Zogaib finished second in the Grand-Am Rolex Sports Car Series event at Virginia International Raceway in April. Less than four weeks later, following intensive pre-race preparation with iRacing simulation software, the pair drove their SAMAX BMW Riley Daytona Prototype to victory at Mazda Raceway Laguna Seca, a track that Zogaib had never even visited, much less driven. A fascinating piece of simulation technology history reinforces, that race car simulation was first demonstrated and used in the 1960’s…well before computers were in common existance. First seen in public on global TV in one of the most high suspense TV series where it featured for one episode. I’ll write about it in a future Diary entry, but it is a classic piece of history that resurfaced in recent years. 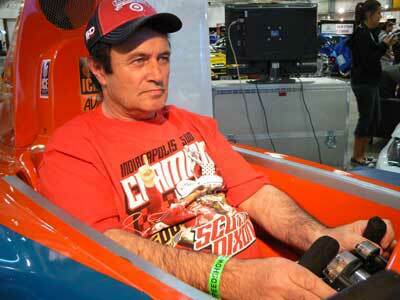 Post Show Comment: TV One Saturday 6pm news item closes with the SimDeck PET250 open wheeler race car simulator. Further full report with photos and videos will appear on this site. Now no entry in the the diary would be complete without some current TV replays, so check out some recent video broadcast of recent virtual world Grand Prix. These cars are being driven by real people in a virtual world and driving cars that mimic with stunning uncanny accuracy their real world counterparts. For the average person this footage could easily fool the average person into thinking this was a TV replay broadcast. So ok fellow racers prepare to impress there is a world-wide audience watching. Our new team member / driver Marcus dropped by and he gave the upgrade his approval. Our Junior Mentoring Programme is underway with young Josh spending Saturday afternoon here at the HQ Sim Office helping out and learning some new skills. Further progress ahs been made in fitting out the new sim area to cater for the demand ot manage private race parties, birthday events, driver training and demo’s for our growing list of corporate clients. FSR 2008 WC – Round 10 Pro Series. Well the time to head back on the track is fast approaching with the Speedshow here in Auckland and Scott Dixon’s winning Indy 500 car to be on display. We have a unique gift for you. How would you like to be paid a $50 cash back discount simply by writing some positive comments about your SimDeck Racing Event. This offer is only valid in NZ and closes on 30th November. Some conditions do apply of course which are on the displayed voucher. This offer requires that you print the voucher off, it must be either physically posted or emailed to us with your booking and when you pay your initial event deposit. It can and not be applied at any other time. After the event you will need write a blog entry on this web site after we have posted your Simdeck Virtual Grand Prix. The following announcement from iracing is another significant step in the development of the rapidly growing international race simulation world, which gives my career and business opportunities for continued growth. Without the virtual tracks being built and championships being created we’re headed for the bitside junk heap. So thanks to Henry and John my future is glowing even brighter as another championship winner will be taking on drivers and teams from around the world. Last night at a business meeting I was chatting over drinks and the comment was made that the person in the discussion had no idea that pro race car drivers regularly practice in simulators rather than the actual track. His comments were interesting in two ways… when one becomes involved having a career as a simulation race car driver you tend to think people would realise, that just like the Boeing, Virgin, Air NZ pilots who constantly train in simulators, that the same equally applies to top end race car drivers who do the same. 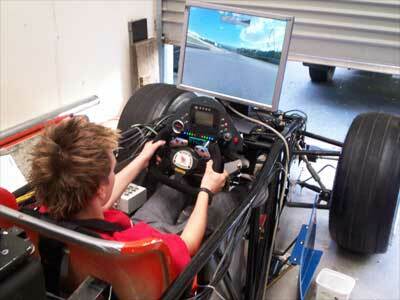 So the public perception of race car simulation as a training tool is still low on the horizon. With the wwwiracing.com launch it further enhances and promotes our industry. However this is now no game but serious business with dollars, careers and wealth at stake. BEDFORD, MA. (August 26, 2008) – iRacing.com Motorsport Simulations today announced the general launch of its much-anticipated subscription-based auto racing simulation and internet racing service. After four years of development and testing, virtually anyone anywhere in the world with a PC, high-speed internet access and a set of automotive-style wheel-and-pedal controls can develop his or her race-driving skills and also compete in the newest form of global motorsport – real-time, online competition, known as internet racing. The announcement of iRacing’s public launch was made at noon today by iRacing’s co-founders and owners, John Henry, who is also principal owner of the Boston Red Sox, and Dave Kaemmer, a pioneer of motorsport simulation technology with more than 20 years experience in the field.